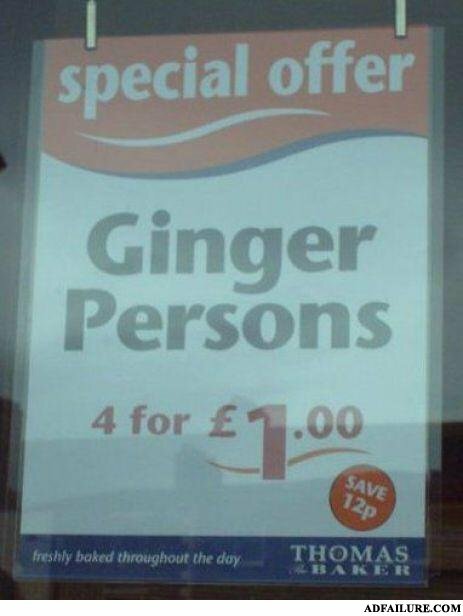 DAYYYYUUUUM I get 4 living, breathing, freshly baked gingers for only £1.00? Holy shitt. you know 'ginger' only has one anagram, right? If you are what you eat, wouldn't eating a ginger turn you into one? "hey snake, you don't have legs"